We did some cleaning around the yard...still getting those rocks out of there!!! 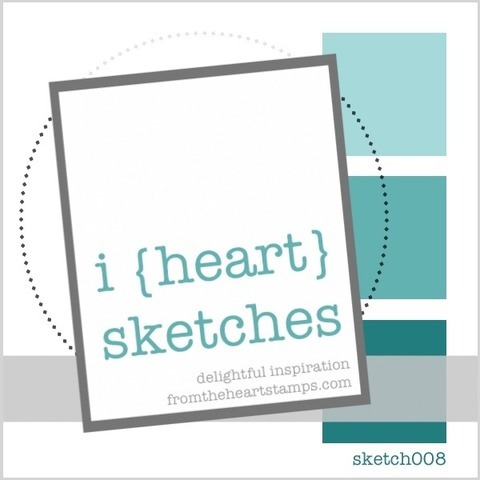 Well today at From the Heart, we have a beautiful sketch for you to play with this week. I used Humble Anneke Smiling. I just adore these new girl images. 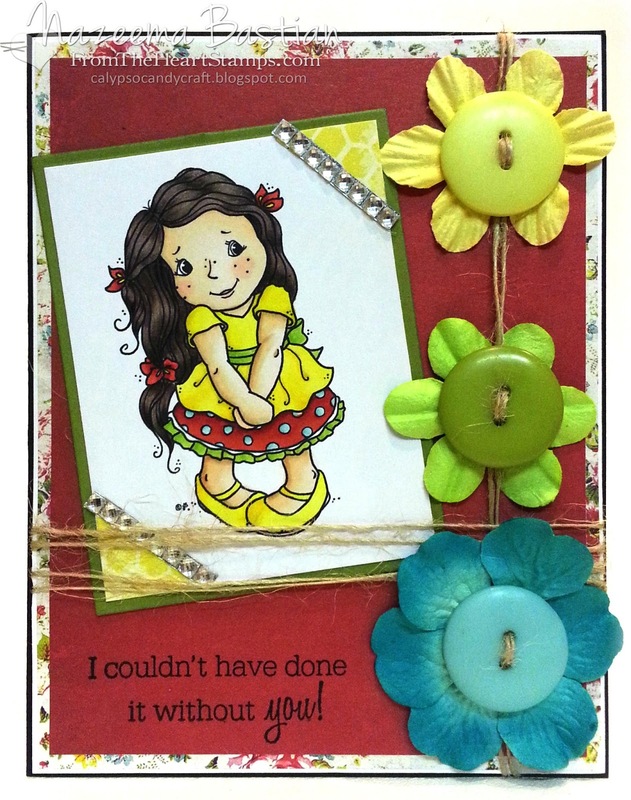 The patterned paper I used is from Glitz. I am down to just a few sheets.. ;( I really liked this line. I pulled out my button collection from Basic Grey and twine from May Arts. You see the bling on the card? Well that is new from Prima...it's called bling on a sheet. You just cut what you need, thin or thick, peel the back and stick. A very clever and useful idea. So there there you have it. I hope that you will join us this week, for a chance to win $5 GC to the From The Heart Store. Make sure to check out the rest of the amazing cards created by the rest of the team. EVERYONE who enters will receive $1 to FromTheHeartStamps.com. Use it as a discount, or save them up to earn a free stamp. Join us on Facebook and “Like” our page to see sneak peeks of the next sketch. How wonderful! I just love your colouring.....I'm not brave enough to try bold richness like that yet, but you make it look effortless! Love the way you used the flowers instead of the boxes!